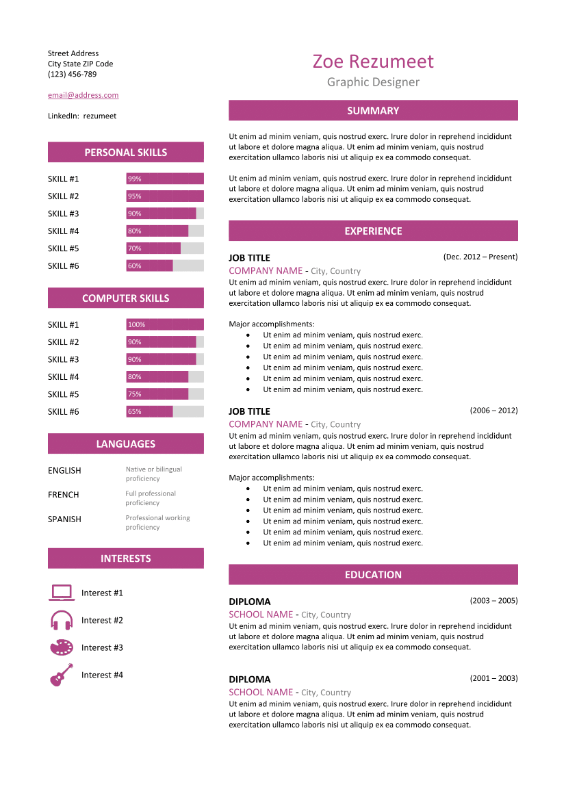 Zeeburg is a free classic and professional resume template. 6 color options (gray, blue, green, orange, red, purple) are available – just pick the one that best fits your personality! Tip: if you are still not satisfied with these colors, simply customize your own color palette in Word (Design >> Colors >> Customize colors), and the whole CV with automatically import your colors. The icons used for illustration in this template (‘Interests’ part) come from the Office icon library (to Insert an icon, Select Insert > Icons, only available to Office 365 subscribers). This curriculum vitae layout is designed with a 2-column structure layout. Your personal details, skills and interests are listed on the left side, while your profile, professional experience and formation are elaborated on the main/right column. It is designed for 1 page or more if needed. Most of the Word templates you can find online (even the most expensive ones) are simply built with text boxes and shapes. But every resume is different as information length and nature are specific to each of us. And it’s a nightmare to deal with when it comes to using the template with your own content. Tables, on the contrary, allow an easy and hassle-free customization, with no formatting or alignment issue. then click the “Layout” table under “Table Tools” and click “View Gridlines”. The “View Gridlines” option either shows or hides the gridlines for ALL tables in your document. 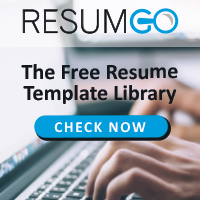 This free resume template is also very easy to edit and to customize with MS Word (DOCX format): it is smartly designed using Text Content Control function from Microsoft Word. Just click once in each text field to edit and enter your own information! For this CV, you can use the free online solution “Word to PDF” from SmallPDF – you will be able to print the whole document with no margin issues. Download ‘Zeeburg – Classic Resume Template’ for free! How do you edit how much of the Languages bars are filled?